A Brighton PlusBus ticket gives you unlimited bus travel on all bus services, around the whole urban area of Brighton & Hove city (including as far west as Shoreham and as far east as Seaford), as shown by the travel maps below. 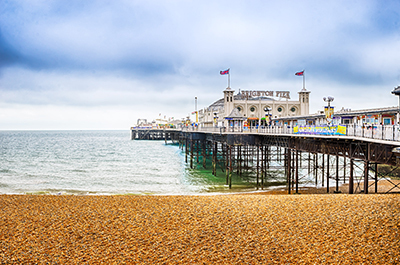 This includes travel to/from the University of Brighton and University of Sussex. Brighton (Queens Rd), Hove, Shoreham, Southwick. Brighton&Hove, Compass Travel, Cuckmere Buses, Metrobus, Stagecoach, & The Big Lemon. All Brighton&Hove Night Buses now accept PlusBus tickets until 04:30hours. Are you making a local train journey (betwen two stations within the Brighton & Hove area)? Then you can buy (with your train ticket) a Brighton PlusBus ticket for use on all the buses around Brighton & Hove area. BRIGHTON B&H+BUS (H276), HOVE+BUS (277), SHOREHAM+BUS (H280), SOUTHWICK+BUS (H279).